Go to ECOMMERCE > Store Management. Go to Marketing > Coupons. 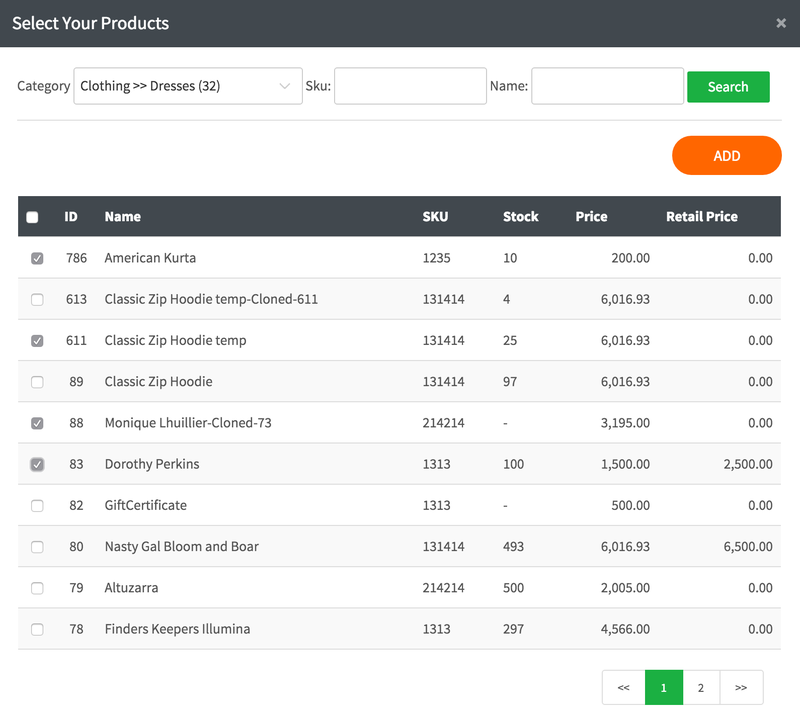 Filter By: Dropdown allows to filter coupons by various criteria. Delete: Delete an individual coupon or use checkboxes to delete multiple at once. CouponID: Displays IDs for each coupon. Discount Type: Displays discount type (either price or percentage). Amount: Displays the discount amount (either in percents or currency amount) for each coupon. Expiration Type: Displays the type of expiration (date or quantity) for each coupon. Expired On: Displays coupon expiration date or quantity, depending on expiration type. Usage: Displays the number of time each coupon was used. Edit: Allows to change coupon details. Enable Coupons: Toggle Yes to enable coupons feature for your store. Click to add a new coupon, or Edit to change an existing coupon. CouponID: Enter an ID for the coupon, or generate on using Generate Code button. Free Shipping: Toggle Yes to enable free shipping with coupon. Discount Type: Choose either Price or Percentage from the dropdown. Discount Amount/Percentage: Enter the price or percentage for the coupon based on discount type selection. Expiration Type: Choose either Date or Quantity from the dropdown. Expiration Date/Quantity: Enter the date or quantity for the coupon based on the expiration type selected. Notes: Add optional notes for the coupon. This coupon applies to: Choose to apply the coupon to all products in the store or specific products. Category: Choose to Show All products or select a specific category of products. 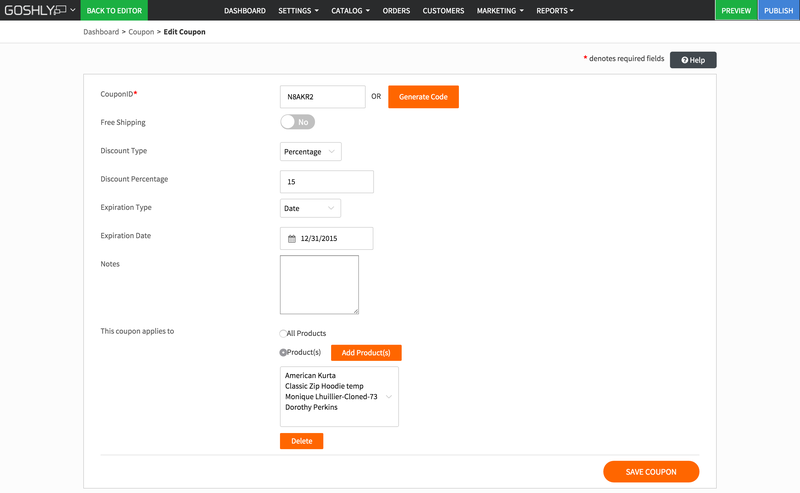 Use checkboxes to select the products you want to apply the coupon to.